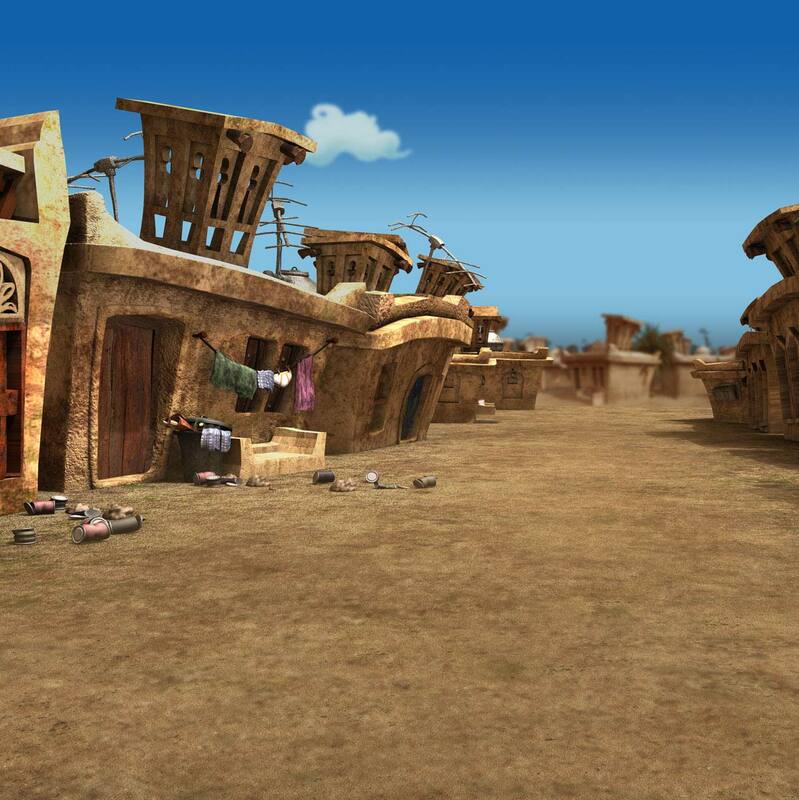 FREEJ; the Middle East's first 3D animated series is the brainchild of Mohammed Saeed Harib who also directs the fifteen standalone episodes of fifteen minutes each, launched September 2006 on national television. FREEJ is the tale of four old national women living in a secluded neighborhood in modern day Dubai. The show's main characters; Um Saeed, Um Saloom, Um Allawi and Um Khammas try to live a peaceful life in the midst of the ever-expanding city around them, but the city's boom unveils new social issues every day that they would have to tackle solve in their own simple way. For those four old women, there is no issue too hard to crack with a good cup of coffee at Um Saeed's house. FREEJ started of as a six page study book in 1998 but it never materialised until 2003 when it was adopted by Dubai Media City. A small demo was created to test the concept and shortly after it was given the official go ahead by the Sheikh Mohammed Establishment for Young Business Leaders (SME) who took on the initial funding of the project. On September 2005, Lammtara Pictures was established to overlook the production and a team of almost 500 people were signed up to make this big dream a reality. The show is now in official association with Dubai Media City, Awraq Publishing, Arab Radio Network, JBM and the Sheikh Mohammed Establishment for Young Business Leaders (SME). The show also benefited from a pool of 100 volunteers from across all national universities who worked hard on the research and development part of it. FREEJ is a national dream that required a lot of effort and hard work from many directions to make it a reality and to give the people of this region and especially the UAE its first animated series.